Many Atlanta-based clients require garage doors for various reasons – either functional or presentational; but at times, they may be outside of what we normally offer within our standard overhead garage door selections. Therefore SOS Garage Doors also carries a brand of specialty doors designed to assist clients make better choices for their unique garage door needs. As it relates to our specialty doors, SOS Garage Doors technicians’ holds their own in terms of their level of knowledge. 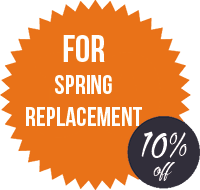 That’s because our specialty door staff has training in both repair and installation services, which affords them the ability to offer an immense insight that can greatly impact specialty garage door solutions for your home or business. 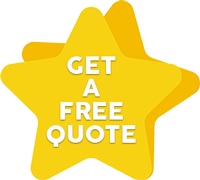 We have found that the insulated garage door is the specialty garage door that is requested the most by our clients, and understandably so. It offers unprecedented protection from the various weather elements – enhancing the longevity of your assets. The insulated doors are a great choice for warehouses that must maintain a specific temperature range to ensure its contents are well protected. The insulated doors can add more garage space and make the area more comfortable during the hot summers or cold winter months. Insulated doors also add value by making your home or warehouse facility more energy efficient as it also lowers climate control costs. 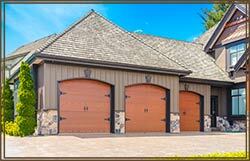 SOS Garage Doors maintains a large selection of insulated doors that can be customized to your specifications. We’re often asked if a fire door is practical to add to a garage space, and our answer is normally always “yes.” The garage is most susceptible to fires due to various chemicals such as paint and paint thinners, gasoline, cleaning products and other inflammable products usually stored in the garage. A small fuel leak or spark of other materials on to heated surfaces could create a spontaneous combustion. Since most garages are connected to the home or the main building in commercial settings, a small garage fire could easily spread to other parts of the home or facility in no time. Fire doors are so beneficial that a variety of municipalities rely on them to the point that they've made their usage a part of their standard procedures, primarily for their building codes that require a fire door to be rated at least 20 minutes of resistance for commercial and residential garage fires. So since they're also fire doors containing an even higher resistance rating, one of our garage fire doors can offer an even larger layer of protection and security for your home or business. The high-speed door is another very commonly installed specialty door designed for very high-traffic portals. They are made to open up relatively quickly, providing convenience at higher frequency entry ways. 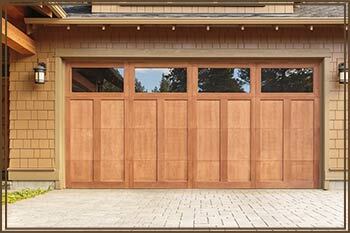 Our traffic-optimized doors are available in economical models and premium models. The economical models provide utility and value, whereas the premium models provide that extra operational speed as it lowers the noise level while in use.